The March Collection is here! Over the Rainbow. A beautiful Collection with awesome colors as the title suggest already! 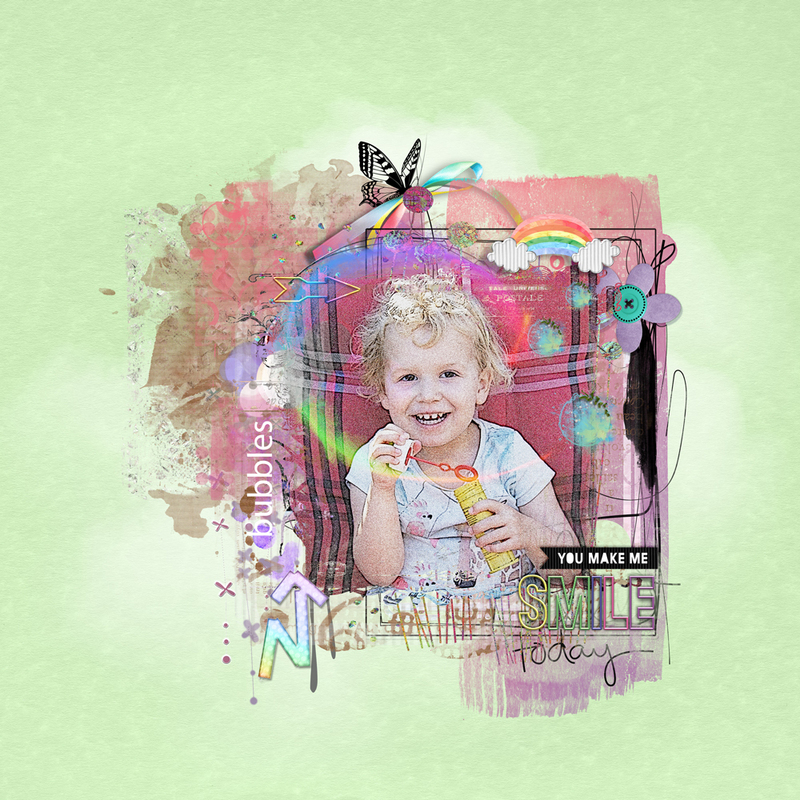 Everything works great together to make beautiful colorful pages of all kind with it! 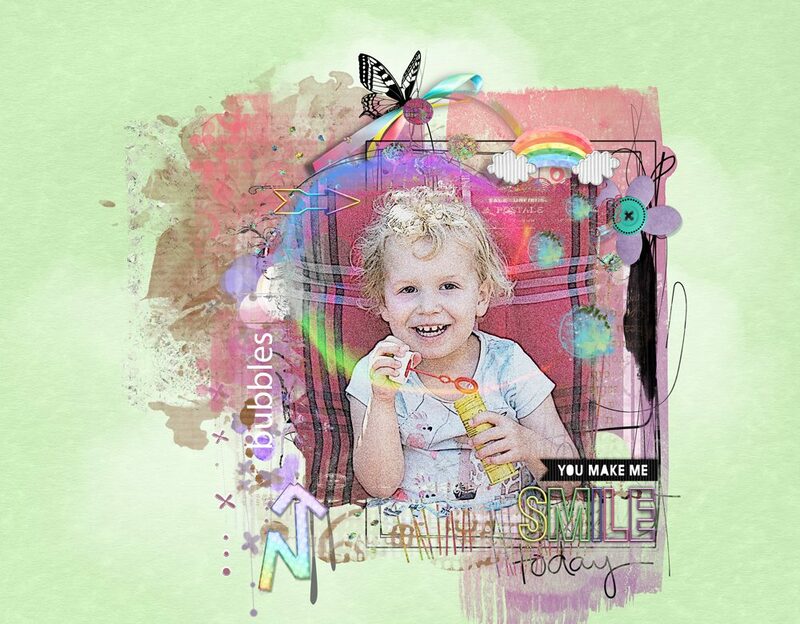 I got inspired by all the colors in the bubbles to make this page of my granddaughter with it!